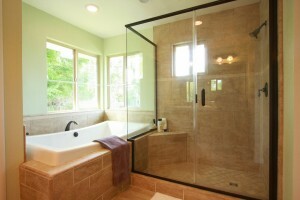 Montchanin Builders’ home improvement contractors turn a bathroom remodel ideas into a home owner’s reality. Serving all of Delaware and Southeastern Pennsylvania. The 2013 Houzz & Home study found that bathroom remodeling was the top home renovation project again this year, with 28 percent of respondents stating they planned a bathroom renovation or addition sometime in the coming year. Similarly, a National Association of Home Builders survey found a bathroom remodel to be one of the top projects – and one that pays off, at that. A bathroom renovation can recoup 65 percent of the cost with new fixtures, tiles, toilets, vanity and lighting. Low-flow toilets use less water, thereby helping consumers recover even more of their upfront investment. Remodeling Magazine cited $15,782 as the national average for bathroom remodels. However, the National Kitchen & Bath Association said the actual figure was just over $18,000 for a new bathroom. Additions edged closer to $37,501, with 54.8% of the cost recouped at resale time. 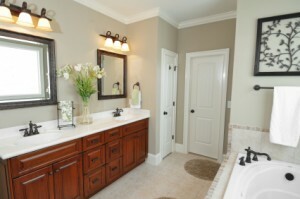 There is no doubt that bathroom remodeling is a popular trend. While some people have the time and resources to tackle such projects themselves, many homeowners turn to bathroom remodeling contractors to get the job done as quickly and efficiently as possible. 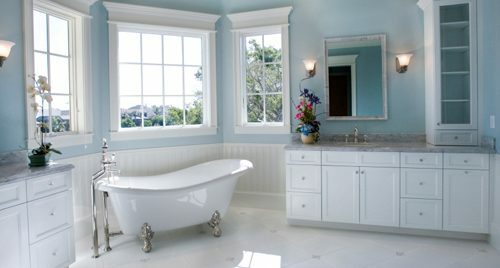 Looking for bathroom remodeling contractors in Wilmington, DE? Montchanin Builders is a big name in Delaware home renovation and construction. Most people know us for bringing the concept of New Urbanism to Delaware, with amenity-rich, maintenance-free communities like Darley Green. Yet, any builder known for putting together luxurious townhomes also has access to professional home renovation experts and expert skills in project management. We’ve managed to offer classical architecture, modern styling and a selection of decorative details, all for around $200,000 per brand new home. 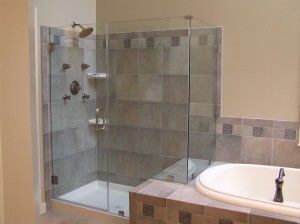 So imagine what we can do for your bathroom remodeling project! No matter what your project entails, we have the crew, the resources, the knowledge and the experience to help make your dreams a reality. We find that most people like to do a little bit of research on their home before calling us. Websites like Houzz, Pinterest and Zillow Digs are image search sites that can help you determine which style, colors or trends you like best. 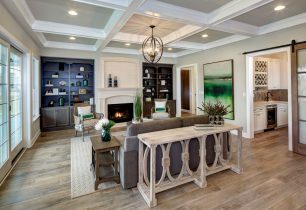 We can also take you on a trip through our model homes and design center, so you can see and feel different interior design materials in person. Our knowledgeable group of bathroom renovation experts is happy to answer any questions you may have and share their passion for redesigning spaces. Tubs – Whirlpool, Jacuzzi, Clawfoot, Basic Surrounds, etc. We pride ourselves in being your one-stop-shop for your entire bathroom remodeling project. If you want other rooms completed during a more wide-scale home renovation, we’d be more than happy to tackle that as well. Our expert craftsmanship and superior customer service here in Delaware has landed us on nationally-syndicated shows on HGTV. Come see why we have developed a reputation as one of the best remodeling contractors in Wilmington, DE! 1. Low-Flow Toilets – Low-flow toilets will be a big trend in 2014, says the Metro West Daily News. 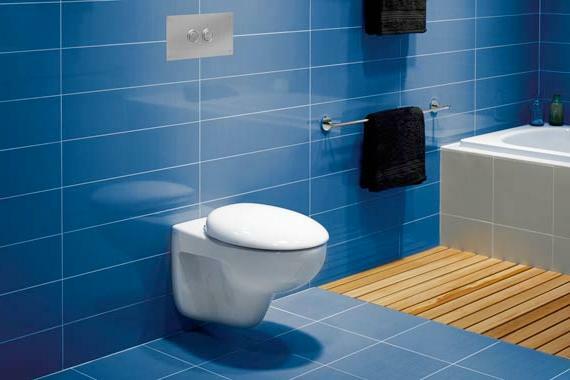 These toilets not only save water, but they also look sleeker and more modern than conventional toilets. 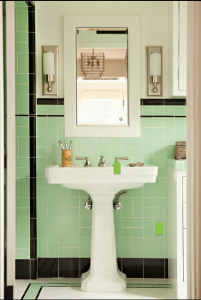 Water conservationist George Whalen told HGTV that homeowners can save up to $100 a year in utility costs by switching to water-saving fixtures with their bathroom renovations. 2. 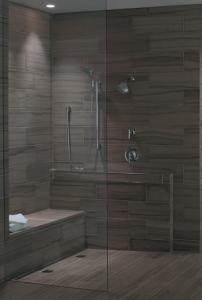 Curb-less Showers – Showers are definitely more popular than tubs this year. Stand-alone showers are taking over, but curb-less showers in particular are the hottest choice for a shower remodel in 2014. Forget tripping over a meddlesome lip. Curb-less showers are perfect for the aging, the disabled, children, and people who just want a simple, but luxurious, shower. You can add rainfall shower heads, steam showers, benches and heated floors for the most relaxing space ever. 3. Standalone Tubs – Posh hotel rooms often feature relaxing soaking tubs, which is fueling the same trend in home renovation for 2014. 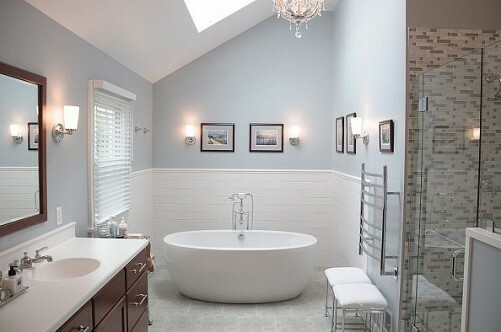 Elegant, free-standing tubs provide a clean, simple look to a bathroom and give you an open, airy space to unwind. 4. Bold Colors – Bold colors are big, no matter which room you’re designing. 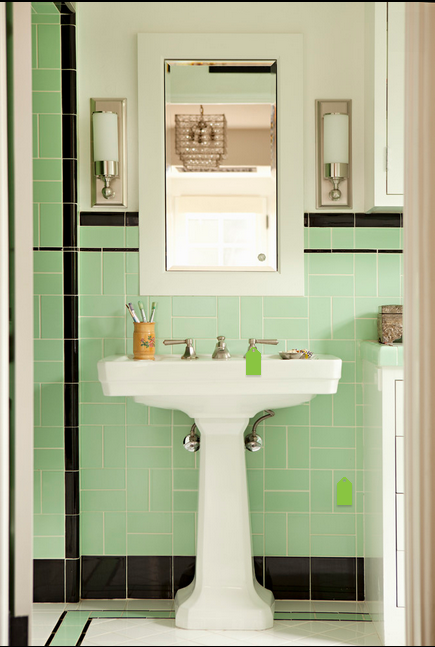 It used to be that nature-inspired colors were ideal for bathrooms to create a sense of harmony. Now people are looking for fun, vibrant places to greet them when they wake up. Cobalt blue and emerald green were favorite colors last year that are still favorites with renovation experts. Peach and rose are nice colors for bathroom renovation because they make the skin look rosier and healthier in the light. 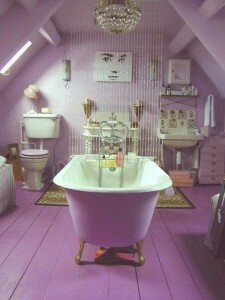 Pantone’s 2014 “Color of the Year” is radiant orchid, which works especially nice for soothing bathrooms. 5. Chrome & Glass Fixtures – Diane Northern, owner of Northern Lights and Electric Supply Inc. of Kenosha, Washington has been in the bathroom remodel business for over 25 years and says that wall-mounted chrome and glass retro bathroom fixtures are the most popular sellers. Though modern, chandeliers are also finding their way into the bathroom to create a more posh, ornate space. Your vision is our passion. Learn more about Montchanin Builder’s Delaware home renovation services by emailing info@montchaninbuilders.net or calling 302-472-7213.